Too little shut-eye can have far-reaching effects — even financial ones, a new report says. Reduced productivity and an increased risk of death linked to lack of sleep among U.S. workers cost the nation’s economy as much as $411 billion a year. That’s more than 2 percent of the country’s gross domestic product (GDP), the report revealed. Lack of sleep leads to the loss of about 1.2 million working days a year in the United States. Sleep deprivation-related productivity losses are caused by employees missing work or working at less than ideal levels, said the study authors from the RAND Corp., a nonprofit research organization. Compared to someone who sleeps an average of seven to nine hours a night, the risk of death is 13 percent higher for those who sleep less than six hours a night, and 7 percent higher for those who sleep six to seven hours a night, the report said. 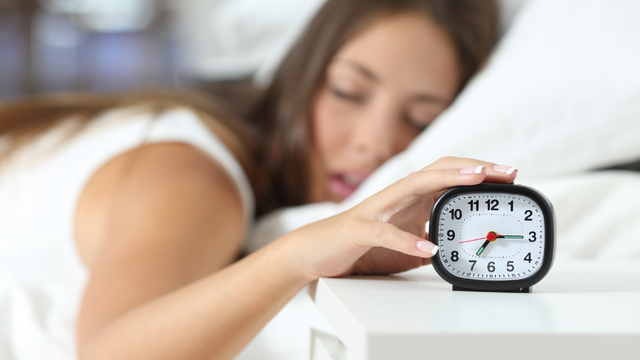 “Our study shows that the effects from a lack of sleep are massive. Sleep deprivation not only influences an individual’s health and well-being but has a significant impact on a nation’s economy, with lower productivity levels and a higher mortality risk among workers,” report lead author Marco Hafner said in a RAND news release. “Improving individual sleep habits and duration has huge implications, with our research showing that simple changes can make a big difference. For example, if those who sleep under six hours a night increase their sleep to between six and seven hours a night, this could add $226.4 billion to the U.S. economy,” he added. The United States suffers the largest economic toll and most working days lost due to sleep deprivation, compared with four other developed countries examined by the researchers. Japan is second, losing up to $138 billion annually, which is nearly 3 percent of its GDP. Japanese workers lose around 600,000 working days to a lack of sleep, the report found. Germany loses up to $60 billion a year, or about 1.6 percent of its GDP. Just over 200,000 working days are lost to sleep deprivation in Germany, according to the report. The United Kingdom loses up to $50 billion annually, or 1.86 percent of its GDP to a lack of shut-eye. Approximately 200,000 working days are lost as a result of poor sleep in the United Kingdom, the study found. Canada was last on the list, but still loses about $21 billion to sleep deprivation. That’s 1.35 percent of Canada’s GDP. Just under 80,000 working days are lost, the study authors said. If people want to increase their sleep at night, the researchers recommend physical activity during the day. They also suggest limiting the use of electronics before bedtime, and having a consistent wake-up time every day.